Shaw's carpets come in a variety of styles. Gorgeous patterns created with tufting innovations and traditional patterns all allow for a multitude of looks to suit your decorating style. The manufacturing of carpet - which can be described as sewing strands of yarn into a backing material - creates thousands of yarn loops. When the carpet is tufted with a high and low loop and left uncut, you have an unlevel, hi-lo or patterned loop. You can also have a patterned loop referred to as a cut loop. This occurs when some of the loops are cut, usually to form a distinctive pattern in the carpet. In some cases you may hear people refer to a distinct coloration in the carpet as a pattern. This is not uncommon but in most cases they are usually referring to a printed pattern or coloration in the yarn. 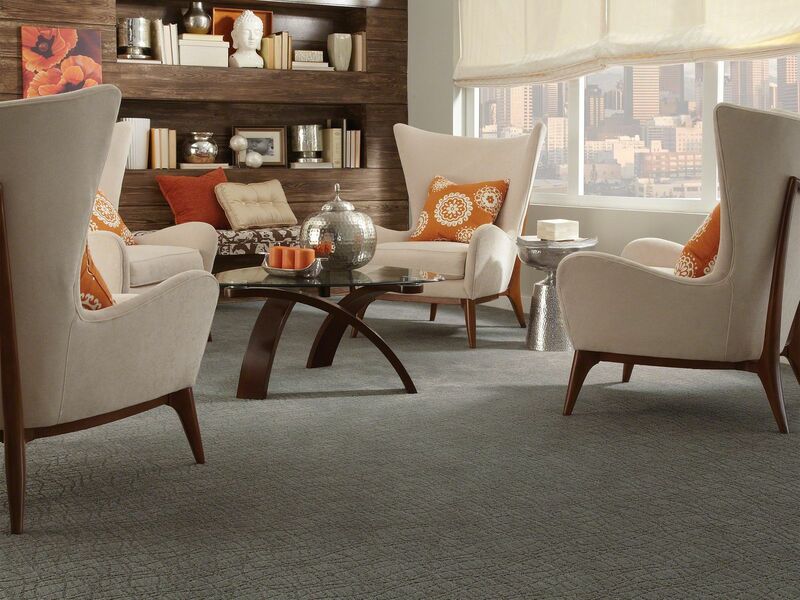 Patterns in a carpet can provide a rich layer of sophistication and design to any room. At Shaw, you'll find a wide range of options including geometric patterns, organic patterns, large, and small. Oversized geometrics are actually one of the design trends that Shaw's Color, Style, and Design team have identified as a MEGATREND in the world of home design. If you're looking to create a design that will truly make a statement and make others take notice, you may find just what you're looking for with a patterned carpet. Coral, a trending color in 2015, has been a popular color for years and is still stylish today. Add a few splashes of this fun and vibrant color to your bedroom.